We recently went on a family vacation to New York City and then to my in-laws house in Massachusetts. Let my rephrase that, we recently drove to NYC and then to my in-laws house in Massachusetts, a 1630 mile trip in all, with two nearly adult size kids in the backseat. The way there wasn’t so bad because we went from Charlotte to Manhattan and then a few days later, up to Massachusetts, but the way home was a straight 820 miles..on a Sunday…with Monday being a work day. UGH! Let me just say I am in the market for a credit card with sky miles so I never have to sit in a car that long again, so if you know of a good one, help me out and send the info. Please and thank you. To save money and time on this trip, we bought a giant loaf of french bread, deli meats, and cheese to make a bunch of sandwiches, and we also stocked up on granola bars, nuts, fruit leather, pop-tarts and goldfish crackers for snacks. We packed a case of waters, Gatorades, and Arizona Green Teas (my teenager’s favorite beverage) in a cooler in the trunk, and to save room in the cooler and keep everything from getting soggy, we froze a few of the water bottles the night before and packed them in the cooler in lieu of ice. So instead of having to stop for food and drinks, we just grabbed things out of the trunk at our rest stop bathroom breaks. It saved us a ton of money, we ate much healthier snacks, and it probably shaved at least an hour off of our drive time. Oh! Don’t forget gum if you are doing any mountain driving. My son and I both have such sensitive ears that if the elevation changes even a little bit, they start popping like crazy. This one is sort of a bonus tip because I didn’t actually see this post until I was already back home, but it is helpful for the future. The blogger made a little food caddy out of an organizing basket like this one available on Amazon (although I think hers came from Target). I especially like it because we don’t have any cup holders in the back seat and the kids have spilled a drink or five because of the lack of places to put a beverage. Pillows. Blankets. Flip Flops. These are not optional, these are necessities! We have a Jetta, and you would think that two kids in the same back seat could share a full-sized blanket, but that does not seem to be the case. It is necessary for each child to have their own blanket and their own pillow. 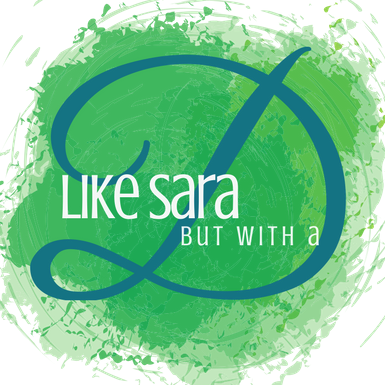 I am sure if you have more than one kid you already know that everything has to be equal. Heaven forbid one glass of juice is the slightest bit more full than the others, but I digress. 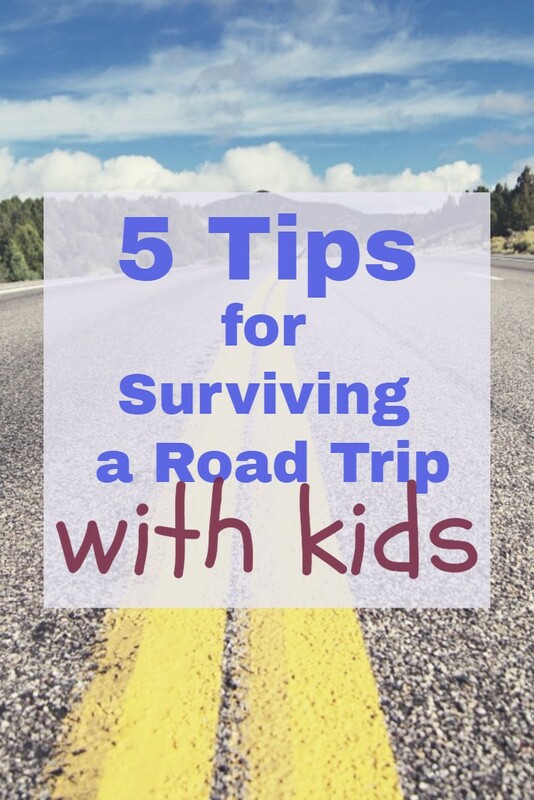 I also make sure both of my kids are wearing flip flops because otherwise, every stop is a 10-minute ordeal until the shoe that is shoved under the seat is found, put on, and then tied–a huge time waster! Pack an Entertainment Bag. I made sure to charge the Nintendo DS, the tablets and the cellphones the night before. They each downloaded a few games that could be played without using wifi or data, and they both packed some reading material. I recommended a really really long book. My son was working on The Goblet of Fire, and my daughter had just started Les Miserables (she is a bit of a classics nerd, she was reading Jane Austin in Elementary school for fun). If you are like me and can’t read in the car without a barf bag handy, try doing an audiobook instead. I found this cool way to travel with Legos that I thought my son would really love, but he kind of acted like he was too cool for this now, I mean he is almost 11 and so grown up, geez mom. However, I do think it would be perfect for a younger traveler, and it doubles as storage and portable play area. 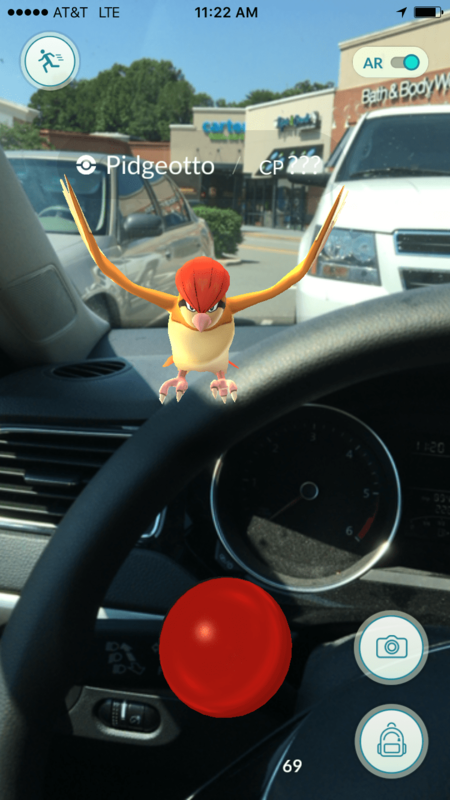 *Another bonus tip: Pokemon Go was an amazing way to keep them entertained. They were looking forward to each rest stop and gas station so they could search for Pokemon, and even though we were driving much too fast to catch them on the road, they still enjoyed looking for the Pokestops along the way. I may also have added it on my phone, and I may or may have a little addiction and could quite possibly have been searching for them on my lunch breaks all week…ahem. Find a few games that you can play in the car or you know, make some up. We brought along Harry Potter trivia cards and Star Wars mad-libs which are both easy to do in the car. We also spent an hour or so having a freestyle rap battle inspired by the episode of Jimmy Fallon and the guy from Hamilton. I have added the video here for your viewing pleasure, but I assure you our freestyle battle sounded absolutely nothing even remotely similar to this guy. 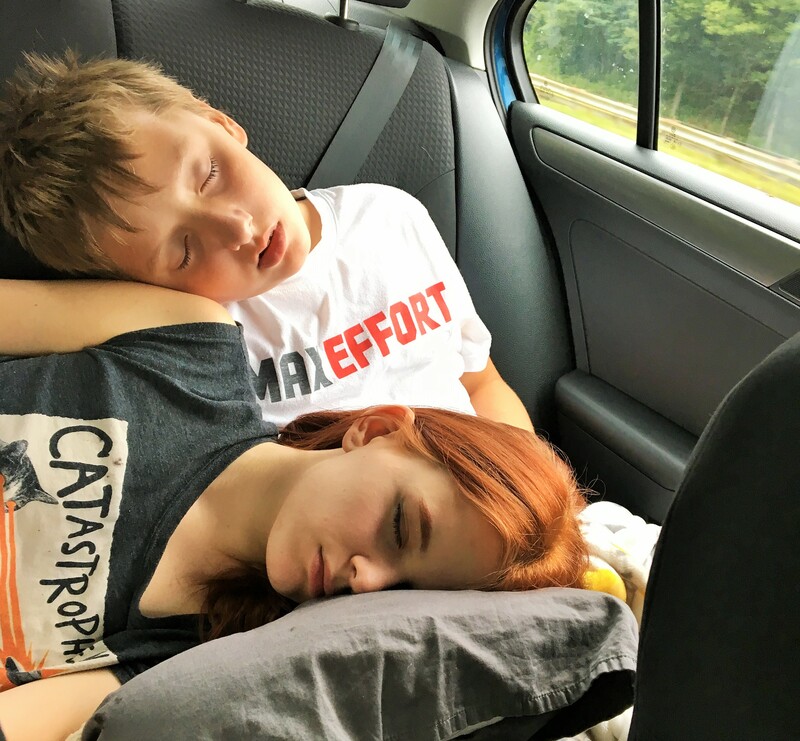 What are your road trip secrets for keeping the kids (or you) from going crazy? The flip flop tip is excellent! I swear I cannot do more than 500 miles in one day. I also would never be relaxed unless I was driving, so I’m screwed, cause everyone else goes to sleep because my driving is so good. Actually, they are just not control freaks like me, who can’t even sleep on a plane. The pilot might need me!! Hey there were a lot of movies made in the 80’s that led me to believe the pilot might need me! I don’t usually do the driving because my husband is the control freak one, and he can’t stand it if he is not the one driving! Blankets, pillows, and flipflops!! YES! This was a huge thing when I was a kid and I make sure my kids also have them. We are also HUGE on the books. When I was little I read almost the entire series of Little House on the Prairie and I am desperately trying to get my daughter into Baby Sitters Club and my son to read HP. I loved Baby Sitter’s Club and Little House! I read a ton of both of those, but not in the car because that makes me puke. My son only started HP this year in 4th grade, before that he wasn’t really interested, maybe intimidated by the size of them. Now he is all about bragging how many pages he can read in an allotted time period. How about you come do a road trip in the States, and we will take one in Europe? Good trade? These are really great tips – fab idea of packing your own snacks rather than spending a fortune on junk food along the way!